Karim Rashid has designed a multifuction mirror, which doubles as a hanger and storage device, for Italian company B-Line. 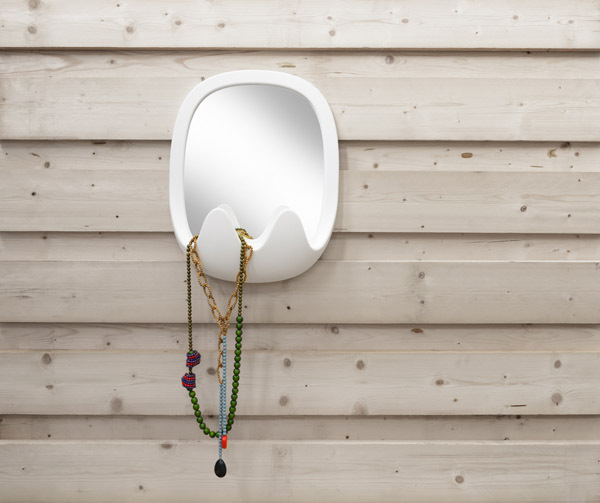 The Oskar mirror, which will be presented at the Salone del Mobile in Milan later this month, has a front compartment with two hooks which can be used for storing and hanging everyday objects. Its exuberant cartoon caricature teeth hint at an underlying inspiration that "leans towards the Muppet Show rather than Snow White".